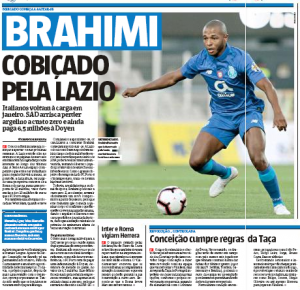 As Yacini Brahimi’s contract with Porto is getting close to expiring, it’s time for the Portuguese press to start highlighting the many clubs who could take him away from the Dragons at the end of the season. Newspaper Record has a story today saying that Lazio could be making an approach soon, maybe offering a very low amount during the January market. The outlet claims that the Serie A side are keen on putting between €5m and €6m on the table. It’s highly unlikely that Porto would accept such offer, especially because they owe Doyen Sports €6.5m in case Brahimi walks in the summer. Speaking of competition, Lazio would have to face West Ham United, Olympique Marseille, Lyon and Besiktas in the race. There’s also the fact that Roma tried to sign him in the last transfer window. It’s claimed both West Ham and the Giallorossi had offered €20m for the player a few months ago, when Porto demanded €30m. This time, the numbers are set to be lower due to the Dragons’ fear of losing him for free soon. 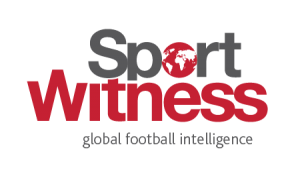 Record doesn’t seem to know much about West Ham’s current stance on Brahimi, but they make sure to list the London side as one of the interested candidates.